I’ve always loved the square format and I think it’s the perfect frame for a portrait. Bjørn Wad bought his Hasselblad 503CW when he was 18 years old. Over 15 years later, Bjørn still shoots with his beloved medium format film camera that has never failed him. As the photographer for Kunstnerliv (Artist Life), a Norwegian art book featuring 19 contemporary Norwegian artists and their work, Bjørn captured stunning black and white film portraits of each artist in their natural environment using the 503CW. Kunstnerliv showcases the work of 19 artists, consisting of 17 painters and 2 sculptors, ranging from minimal and surrealistic to more traditional, classic work. Starting in 2014, Bjørn traveled all over Norway, and even to New York, London, and Berlin, to photograph each Norwegian artist in their “habitat” to illustrate who they are as a person. He visited most of the artists several times a year; the more he met them, the more they let their guard down – that’s when great things unfolded in front of the lens. Collaborating with each of the artists, all of Bjørn’s portraits were spontaneously crafted. The locations where we photographed were completely random and dependent upon the artist’s surroundings. It was very important for me to portray the artists in an environment outside their studios and their work as artists. I did use the studio as a background from time to time, but I wanted to keep away from the classic portrait of a painter with his pencil in front of a canvas. I was more into what hobbies they had instead of their profession – their history, their passions, and their background. Born in Zürich, Switzerland, Bjørn Wad now lives in Oslo, Norway. As a teen, he would flip through photo magazines from the 60s, 70s, and 80s – the grainy, high contrast images with deep black tones heavily influenced what would later become his photography career. He studied at the Norwegian School of Photography, and he specializes in portraits. See more of Bjørn Wad’s work here. Kunstnerliv (Artist Life) is the first of its kind as a comprehensive document containing the life stories and portraits of 19 Norwegian present-day visual artists. Its 400 pages focus on these unique voices who illustrate the diversity of Norwegian art today. Take a look inside the book here. 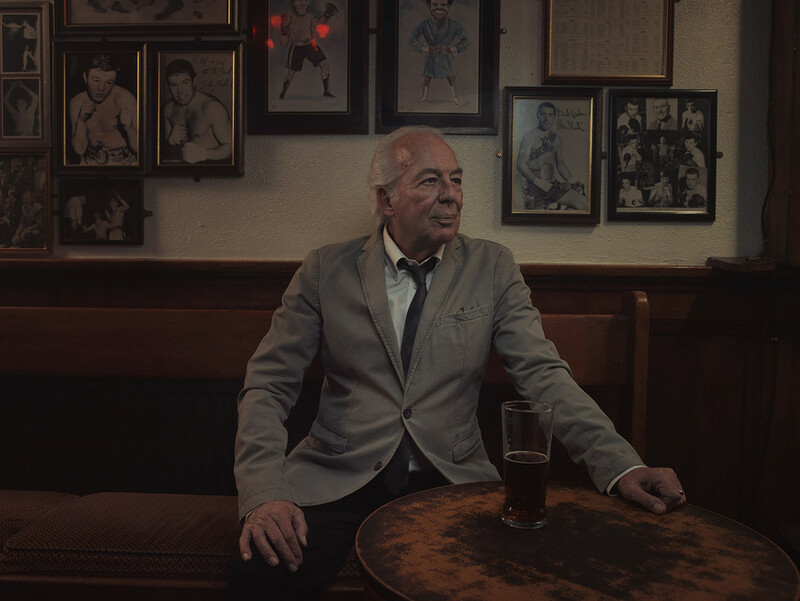 Portrait photographer Tom Oldham's award-winning series, The Last of the Crooners, features a group of jazz musicians found right at his local pub, The Palm Tree, in East London.